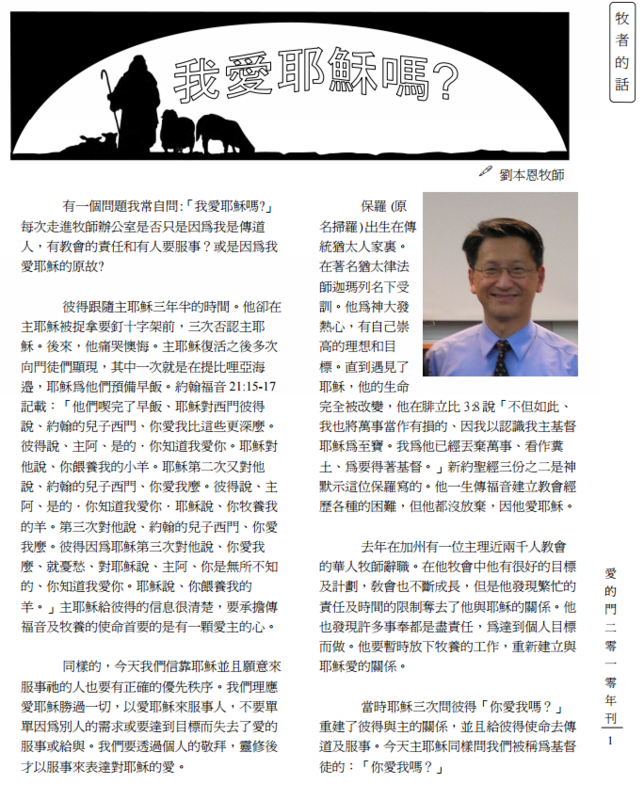 請點擊圖片 Please click the photo to view the yearbook. 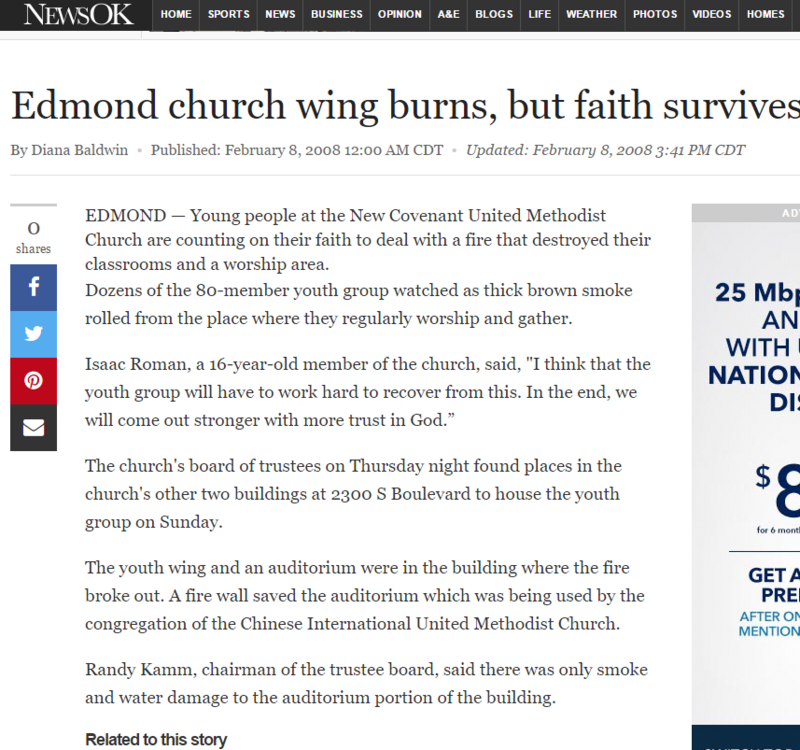 Our old web site, www.eciumc.org, was started on October 19, 2003 and we have about 5900+ visitors visited our old web site. 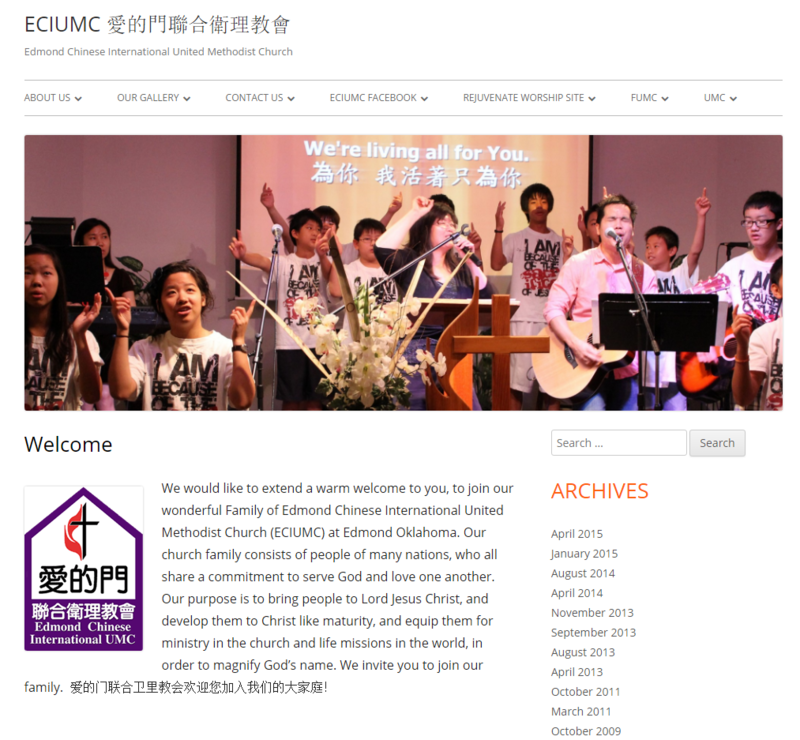 Please change your bookmarks/Favorites to our new web site, www.eciumc.com. Praise the Lord for His guidance and abundant blessings in 2013. 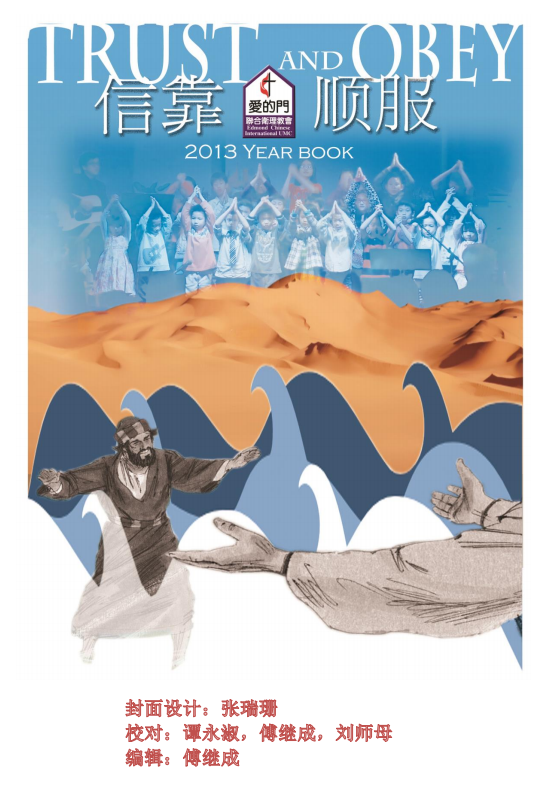 Our 2013 yearbook has been published. “And let us consider how we may spur one another on toward love and good deeds” – Hebrew 10:24. Our 2012 yearbook has been published. 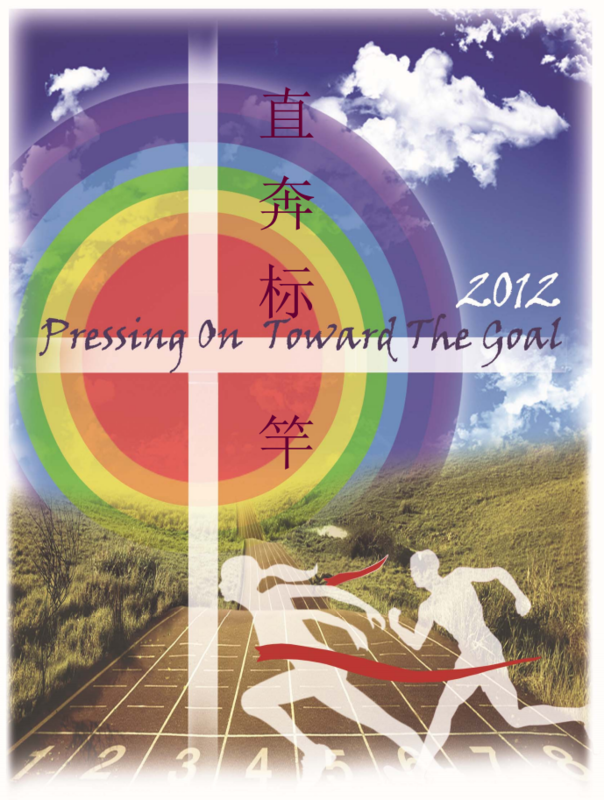 Let’s celebrate our achievements and “… forgetting what is behind and straining toward what is ahead, and press on toward the goal to win the prize for which God has called us heavenward in Christ Jesus. –Philippians 3:13-14″ . Greetings to you in peace! May the Lord Almighty bless you, strengthen you and keep you so that you will be more than conquers in all the challenges that you are facing. It says in Isaiah 43:19: “See, I am doing a new thing! Now it springs up; do you not perceive it? I am making a way in the desert and streams in the wasteland”. Our God is indeed amazing. Praise be to Him! He has made a way for us by preparing a church building for which we have long prayed. The property address is 321 W. 8thSt., Edmond, OK 73003. It is about 2 miles west of the UCO campus. As you might have known, we’ve been looking for a proper place for our church for a very long time. 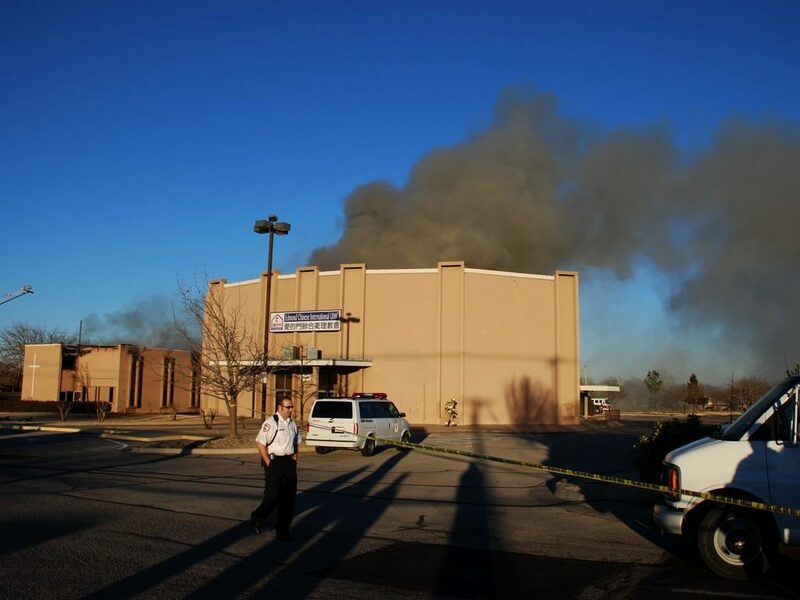 After the fire at the 300 building that we shared with New Covenant UMC in February, 2008, it finally dawned on us that we truly need a place of our own most urgently for worship, fellowship and the many ministries in which we are involved. During the past one and half years, we’ve considered quite a few locations, both land and buildings, but all in vain. Yet, we’ve never been discouraged because He cares for us and listens to our prayers (our children’s prayers, too!). He has provided the very best place for us in His time. This property was built in 1969 as a church. It has 8 rooms. Its sanctuary can accommodate up to 170 people. The building itself is approximately 5,800 square feet but the land around it is about 2 acres, big enough for us to build a multi-purpose activity center in the future! If you’d like to wire the money to our church’s bank account, please contact us for account details. If you have any questions, please feel free to contact us as well. Thank you! 在上個星期一我們已談妥購價為美金$490,000，我們將於10月30日正式成交。至今教會擁有$339,000的建堂基金，教區答應支持$100,000卻分四年來給。若是教區於10月27日後同意一次給完總數，我們還需要近$51,000的金額成交。我們邀請您與我們一起把感恩、榮耀與頌讚歸給祂。我們也懇求你為我們禱告，求神保守一切的手續都順利進行。在此，若上帝在你心中感動你，要在金錢上奉獻參與這榮耀的事工，你可以把支票直接寄到：Edmond Chinese International UMC, P O Box 1453, Edmond, OK 73083. Our church needs our own building. Current balance of building fund is $330,695. 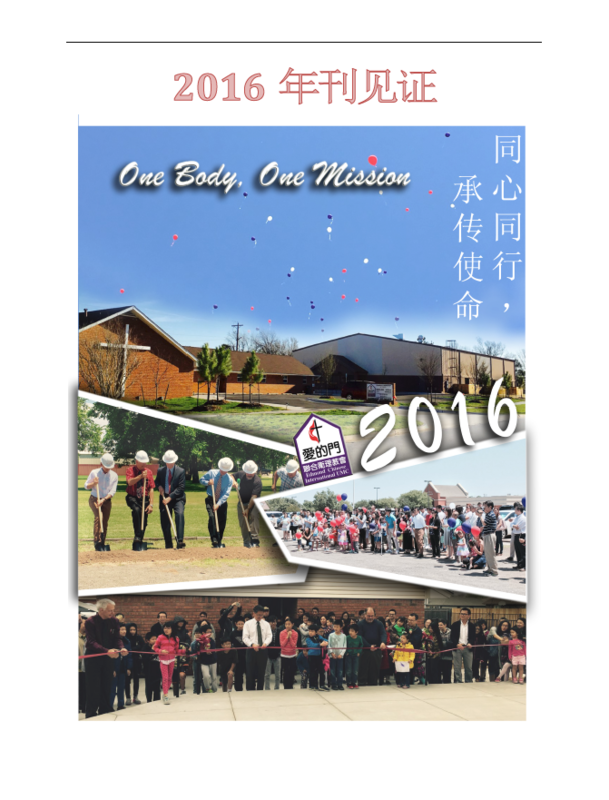 Our goal for the church building fund is approximately 1.2 million dollars. We encourage you to pray, let the Lord be our King in our heart, let the Holy Spirit move you and participate financially. You may offer your commitment card into the Sunday service offering bag. We invite you to come to church room 101 on Wednesday nights at 7:45PM. We also encourage you to fast one meal each week to pray for the church building. 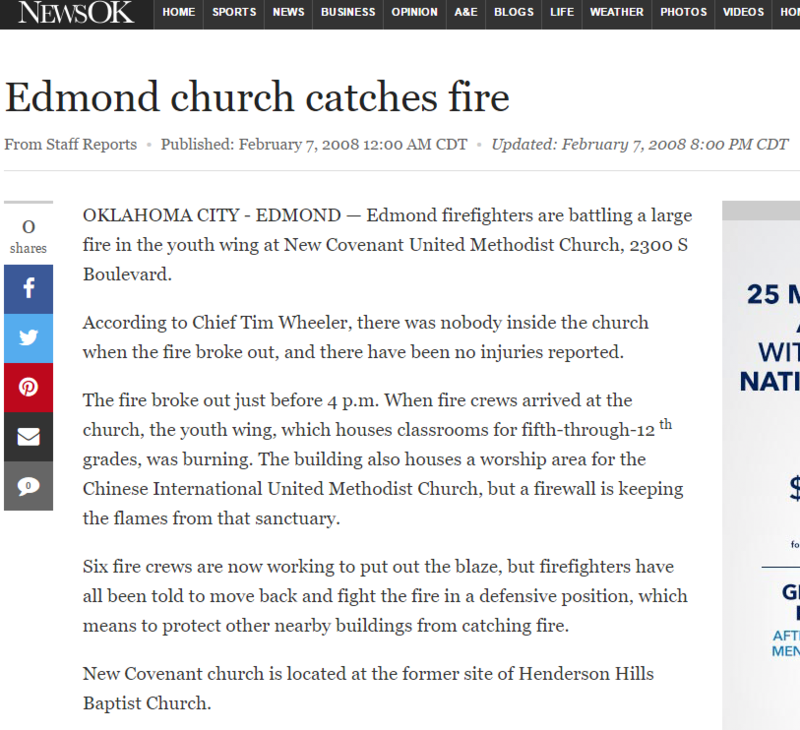 Around 3:00 p.m. on February 7, 2008, Building 300 was caught on fire. Thankfully there was no one in the building when the fire began. Currently, the Church with major damage has already been demolished. In addition to this, at this point of time NO ONE is allowed to access any part of the building until further notice. Please continue to put this in your prayers. PLEASE REMEMBER TO CHECK THIS WEBSITE AND YOUR EMAILS FOR ANY NEW UPDATED INFORMATION. Someone said: ?Being drowned and being thirsted to death is two different ways of death, however, water is the common reason which caused them to death. One died of too much water and the other died of insufficient water. The same with the situation of money? To be honest, money can do a man good and bad as well. Making good use of it can motivate you to be mature; on the contrary, it can become a roadblock to your life. What is your attitude towards the money? How do you use it? This is what the Lord is very concerned about. When Jesus was on the earth, he taught 38 parables, 16 of them are about money. What he is concerned about is the relationship between our life and money instead of the money itself. From the teaching of the Bible, all that we need comes from God. Our ability to earn money comes form God. Therefore, we should offer the tithing with a thankful and reverent heart for God. ?Be sure to set aside a tenth of all that your fields produce each year. Eat the tithe of your grain, new wine and oil, and the firstborn of your herds, and flocks in the presence of the Lord your God at the place he will choose as a dwelling for his Mane, so that you may learn to revere the Lord you God always.? (Deuteronomy 14:22-23) Also, God has promised in the book of Malachi: ?Bring the whole tithe into the storehouse, that there may be food in my house. Test me in this,? says the Lord Almighty, ?and see if I will not throw open the floodgates of heaven and pour out so much blessing that you will not have room enough for it.? (Malachi 3:10) Offering a tenth of all our earnings was started from Abraham. After that, God has told Moses to make tithing a law. In the New Testament, Jesus reaffirms the importance of tithing (Matthew 23:23). There is no doubt that tithing is a support to the ministry of the church; however, the true purpose of tithing helps us learn to revere the Lord our God. God has promised to give the wisdom to those who reveres God and bless them. Let us encourage one another to fulfill tithing all together.